We all know what we like in a website. Let’s face it we have to look at enough of them for work, to learn, to run our lives, to make things happen and sometimes even for fun! We also know how frustrating some websites can be. How many times do you get frustrated with not being able to find information on websites or the functionality simply to not work? Despite all of this frustration it is still seems difficult to identify what makes a great B2B website. Here we take a look at 7 ways to cut through the noise and know what to focus on. As a marketer you have a responsibility to make the website journey easy for the user. Put simply, you can’t do this if you don’t understand thoroughly who your target audience is. 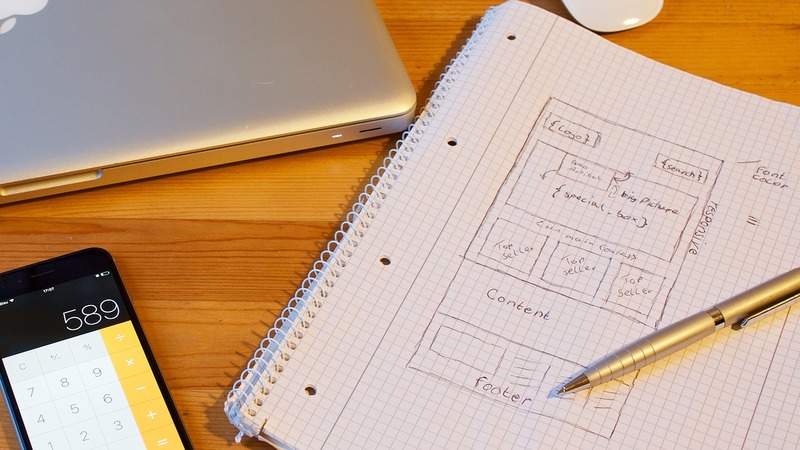 You must be able to walk in the shoes of the user before you can redesign a great website. Who are they? How do they process information? How much time do they have? How do they like information presented? What do they react to? Once you understand this you can target your messaging appropriately and ensure the user leaves the site having understood your offering. For example, you may have identified an Office Manager and a Finance Director as 2 key personas if you were selling office consumables but they will both have very different things that are important to them. You would want to communicate this effectively on the website so the right people take the right actions for the right services. A mix of art and science… The user needs to be provided with the information that is going to encourage them to complete your intended action. These may vary from page to page and from persona to persona. You need to be clear on what path you want the user to go down and what you want them to learn while on the website. You also need to be clear what transaction you want them to make if it is an ecommerce site. As part of the user journey it is important to challenge every single step the user is going to take and why. Considering the journey enables you to also consider, and remove, any obstacles in the user achieving their and subsequently your objective. Write it down; put it in a spread sheet… pretend to be visiting your site for the first time. Be critical even if it means you think you will have a website that doesn’t match your original expectation. Once we have the user journey mapped you then need to break these down in to smaller journeys. This means careful consideration of how information is presented. If your site has a high level of mobile traffic then the presentation of information needs to consider this. If your persona is very technical then the information presented to this user needs to respect this. Sometimes images, tables, infographics, video and interactive functions work really well and keep the user engaged. Time and time again we see companies struggle to strike the balance between what the company wants the user to know and what the user wants the company to tell them. Is a user really interested in your company news or the latest staff promotion or would they prefer to read something that is going to make them better at their job or help them do their job more easily? If you are going to redesign your website, do it properly. This is the perfect opportunity to challenge functions in the business that are intrinsic to your customer’s experience and the website. If you don’t do e-commerce but could why aren’t you? Could you? Just because you have always had certain information on the site doesn’t mean you still need to have it? Why do you segment the website like you do? Why make do with existing photography when new would look soooo much better? Challenging this can be hard but worth the brief moment to really look in the mirror. It is easy to take the shortest route to sea but it won’t always give the best result. Understand what your current website is doing. A website will generally have 20% of its content used by 80% of its users. This gives you a great opportunity to understand which 20% of your content is used and use this 20% as the launch pad for your new website. You can then add on and refine this… something we call Growth Driven Design, which will be the future of how websites are built and developed in the future. We have our “go to” websites for day to day information. We keep visiting these sites because they not only provide us with the information we are looking for but they present it in a clean way. The website, as a standalone, may not be enough to encourage your user to come back. Content shared in the right places with the right people will encourage users to come back to your site as you become the authority of information in their world. How do you do this? You create campaigns with specific landing pages that are designed to help you meet your business objectives. The content that you produce for the campaign sends your user to the well crafted landing page specifically designed to encourage your user to take the action that you want them to take. However, throughout this process the user is getting information that is useful and relevant and that is why they keep coming back! Your website is never finished. Your buyer personas will evolve and the needs of your customers will change. As such, your website needs to be agile. Take the time every month to review your website’s performance. You want to focus on the quality of your traffic and review the metrics that will help you do this. Ensure you have good quality goals set up and review the interaction the users have with your pages. Be focused, act on your findings and split test… this will hone the efficiency of your site and ensure you have the right traffic that will help you achieve your business goals. This was kind of covered in Number 5. However, it is so important that it is worth a point of its own! It is absolutely imperative that you continue to create content that entices the user back to your site. This isn’t just blogging although that is really important… have we mentioned that before? You have to nurture the user and make them feel like every time they visit you have made their life easier. To do this you can consider things such as unique subscriptions that provide subscribers only information, video and guides.